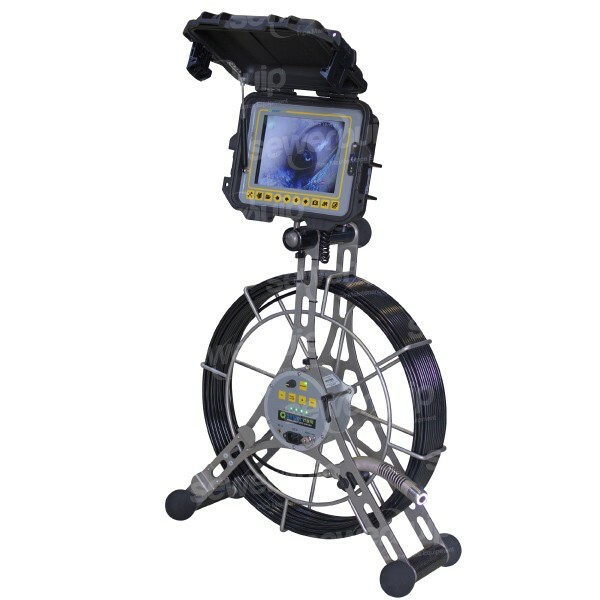 The SEWERCAM SR60-2DL drain camera is a 60m push camera for inspecting 90-225mm pipes. 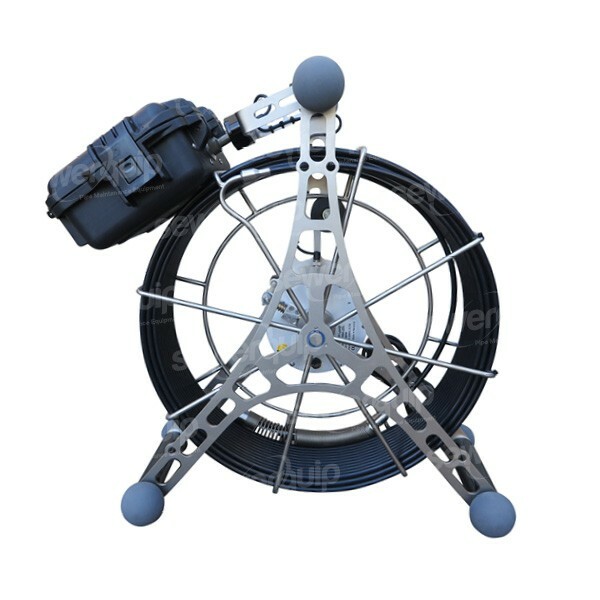 The SR602DL has a self leveling camera head, inbuilt sonde for locating and recording functions. SEWERCAM™ Self levelling camera head with Sapphire scratch free lens and Chip LED lighting. Sturdy stainless steel frame and reel offers outstanding durability. Powerful 33 kHz sonde is integrated into the camera head for easy location. Full colour recording camera system. Large 8.4" high definition TFT LCD screen will give you the clearest picture possible. Easy to view even in direct sunlight. Inbuilt meter counter, displayed on screen. Records to 4GB SD card in standard MP4 footage. Supplied with USB adapter. Compact camera head negotiates tight bends easily. Will go through a 50mm pipe to get into the sewer. (Ideal if there is not an I.O that can be used). Long flexible progressive spring makes negotiating bends a dream. SEWERCAM™ 29ST 29mm full colour camera head with Sapphire scratch free lens and Chip LED lighting. A Powerful 33 kHz sonde is integrated into the camera head for easy location even when up to 4m deep. Also works under concrete. The sturdy stainless steel frame is light weight and compact. 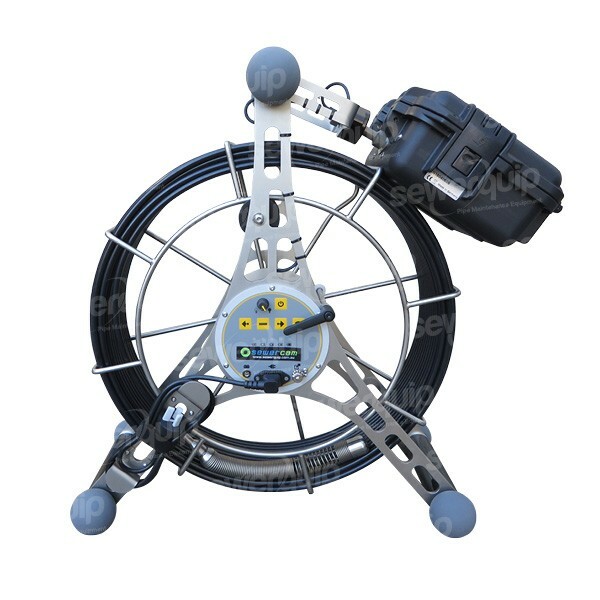 60m of amazing "easy-push" push cable effortlessly pushes through multiple bends and pipe up to 225mm in diameter. With this cable, it is possible to push a whole 50m in 100mm pipe. Inbuilt rechargeable Li-Ion battery with 12v or 240v charging capacity. 8.4" high definition TFT LCD screen will give you the clearest picture possible. Easy to view even in direct sunlight. Meter counter displayed on screen. Inbuilt recording menu. Records MP4G video footage with voice over and JPEG photo storage. Supplied with 4GB SD card and USB adaptor.